I’m done with my false hope. I’m tired of enslaving rules. ‘coz deep inside I’m broken, deep inside I’m weak. The twist and turns of this life made me feel so down, oh down. Show me your love Oh Jesus, teach me how to live for you. Give me a sense of freedom, ‘coz nobody else will do. I’ll take that zig zag, zig zag road if you’ll stay close with me. This is the day, this is the hour to sing, life can begin again. Having this clear night without stars is just like an illusion. I want something fresh, simply new, somehow there’s something more than this. ‘coz deep inside I’m worn out, deep inside I’m dry. I need your traveling grace now, Oh give me one more chance, just once more. 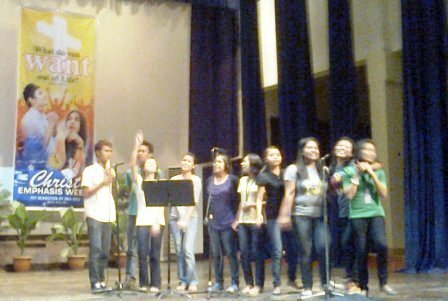 “Life Can Begin Again” is the theme song of the 2011 Christ Emphasis Week at Central Philippine University. The composer, Pastor Joshua Zonita, is a graduate of the College of Theology, CPU. He is Chaplain of Filamer Christian University in Roxas City. 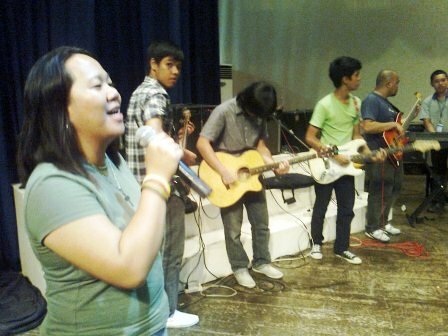 The Filamer Praise and Worship Band rendered “Life Can Begin Again” during the opening convocations of CEW. For those who don’t know, Filamer Christian University is a sister-institution of CPU. Christ Emphasis Week – What Do You Want Out of Life? 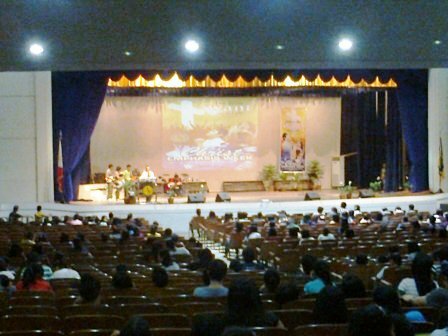 It’s Christ Emphasis Week (CEW) again at Central Philippine University. The CEW text is in John 1:37-39. Beginning July 18 until July 23, class periods are shortened to give time to the regular CEW convocations scheduled for elementary, high school, and college students. Nelson Ayala and his team from the Agape Philippine-American Ministries composed this semester’s CEW speakers. 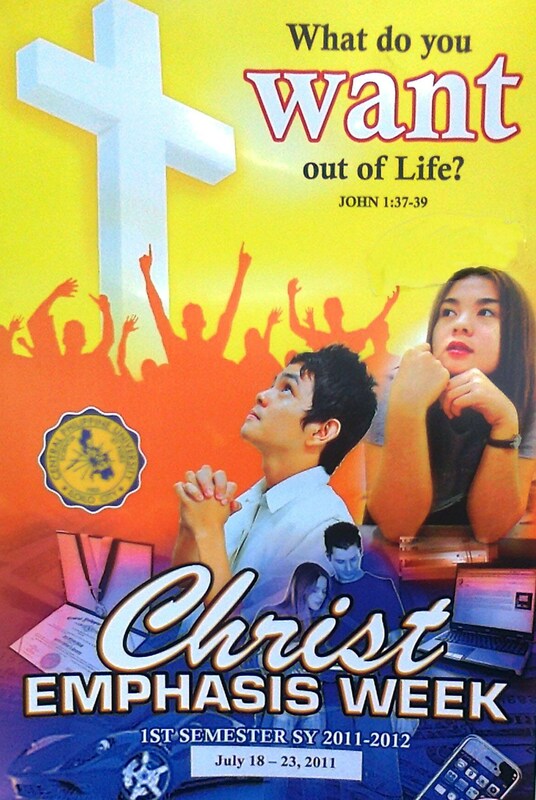 Students must get the best out of what CPU is offering…ATTEND THE CHRIST EMPHASIS WEEK! In 1961, Juan became the Director for Mission and Evangelism of the Convention Baptists. Through the help of Rev. Jesus Vaflor, CPBC General Secretary (1954 – 1964), Juan got the chance to study Master of Divinity in Berkeley Baptist Divinity School, Berkeley, California. When he went to Divinity School, he found out that his studies wasn’t a full scholarship. He had to work for his board and lodging. The work he experienced in the US school was worse than in CPU for he had to wash plenty of dishes, big stew pots, toilets and scrub floors. Receiving nothing from the Philippines, he found extra income by working in a Dog and Cat Hospital. In 1964, Juan got a job in a Methodist church. This paved way for the United Methodist denomination to call him to pastor a church in 1965. While working as pastor, Juan did extra job as a house parent. He needed income to finance his wife’s travel to the states. In 1973, their neighbor’s house was up for sale at a low price. Having the amount, the Anchetas bought the property. Then prices of real estate properties went up because of inflation in the US. It provided the Anchetas the opportunity to resell the property at a much higher price. Thus, began the real estate business of Juan and Nellie Ancheta. The business did not deter them from God’s work. Juan remained as a full time pastor while Nelly busied herself with the church’s women organization and US-wide ministry involvement. 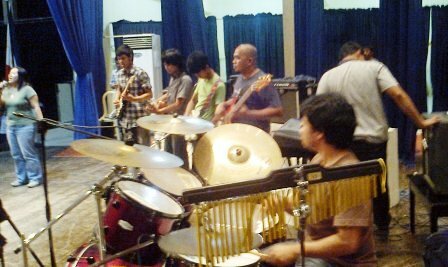 Their faithfulness to God and the Christian ministry provided more business opportunities for them. The apartment business grew and it provided Juan and Nellie the means to extend the blessings that God endowed them through financial donations. CPU has been the recipient of the generosity of the Anchetas. 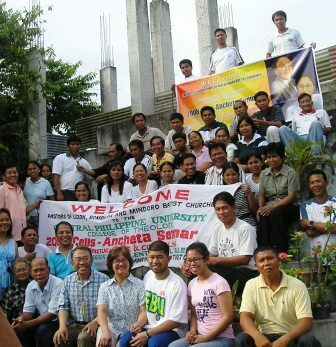 The annual Celis-Ancheta Seminar for pastors of the Convention of Philippine Baptist Churches is one of the continuing education programs that the Ancheta family is supporting through their endowment fund donations at Central Philippine University. Juan finished his Doctor of Ministry at the American Baptist Seminary of the West, Berkeley, California in 1984. A humanist by heart, he translated every opportunity to serve his fellowmen as his spiritual fulfillment. His passion for service is given life both in the Philippines and the United States. 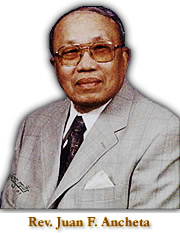 As pastor, he zealously devoted himself to evangelism work with the Convention of the Philippine Baptist Churches. Proving himself to be a genuine servant of God, he was given the honor as Pastor Emeritus of Melrose Methodist Church, Oakland, California. Imbued with true Central Spirit, Rev. Dr. Ancheta has kept the high ideals of CPU by tendering selfless service, invaluable assistance, and financial help to further the religious, educational, and humanitarian causes of the University. Indeed, his unconditional generosity, social consciousness, humanitarian concerns are Christian acts worth remembering and emulating. 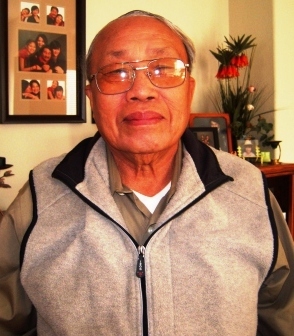 He is active in the CPU Alumni Chapter of Northern California, which he and Nellie were pioneer members. 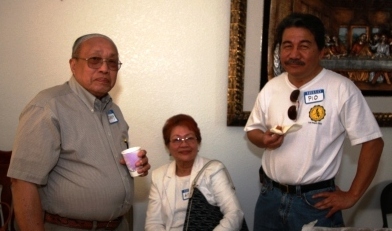 Both Dr. Ancheta and Nellie were among the first five persons who started the CPU Alumni Chapter of Northern California in 1969. They both had served as either president or treasurer of the CPUNorCal. When Nellie had a stroke in 1995, he was chosen by the group to take her place and continue to lead the group until 2009 when the Chapter accepted to host the 2010 Global reunion in San Francisco. When the Chapter finally accepted to host the gathering, Dr. Ancheta asked to be replaced by a younger leader. He found joy in being one of those who started the CPU Alumni Chapter of Northern California. For his lifetime commitment and Christian achievement as minister of the Gospel and humanitarian leader, Central Philippine University takes pride and pleasure in giving Rev. Dr. Ancheta due recognition and honor. The Anchetas have been known for their passion for service and generosity in helping church related institutions in the Philippines , and Central Philippine University is a recipient. 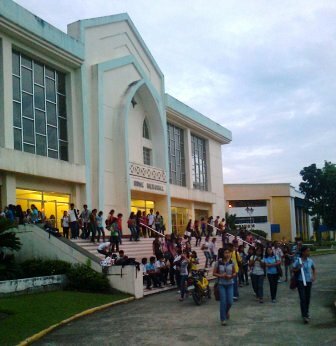 The Celis-Ancheta Hall for the College of Theology dedicated and inaugurated on June 25, 1997 is concrete evidence. When Nelly joined her creator in 1998, Juan at 70 years old spend his life fulfilling Nellie’s unfinished dreams of helping those who are in need and developing the work of God both here and abroad. For his benevolent work, Rev. Ancheta received the Honorary Doctorate Degree from Central Philippine University on 3 September 1998. At age 83, Dr. Johnny Ancheta is still strong and busy in their business and in the work of the Lord. He testifies how the Lord is gracious to him and the members of his family. When Nellie passed away, Junell quit his teaching job and his graduate studies to take care of their business. He is blessed with three grand daughters. On January 25, 1999, Juan married Aurora Carnaje, a US-based nurse and graduate of CPU. 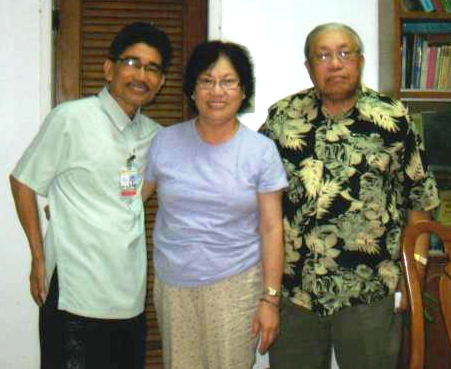 Johnny and Aurora met Dr. Bernabe Pagara, the Dean of the College of Theology during their November 2010 visit at CPU. His son, Jorge is working in the Alameda County and living alone. His eldest, Junell and his wife, Ritsuko have three children, namely: Joan, 13; Jane, 10; and Ellena, 8. Juan Ancheta’s story remains as one example of a man’s successful search for better life, which he achieved through hard work, determination, and most of all, his faith in God. Indeed, the “greener pasture” is always waiting for those who are willing to commit their lives to diligently work for it, not only for personal welfare but for the greater purpose of helping humanity. This is not the typical “Juan tamad” story we might have heard from our parents or yayas. The common Juan story relates to the Filipino’s laziness and usually ends in tragedy or humiliation of poor Juan. The story of Juan F. Ancheta typifies the industrious and diligent Filipino who is hard working, God fearing and successful. Juan F. Ancheta grew up in San Andres, a remote coastal town in Tablas Island, Romblon. Born on May 19, 1928 to a very poor family of eleven siblings, Juan struggled to live a hard life in their barrio. Traditional farming and fishing were the town’s livelihood because machines were still unavailable and a luxury during those times. The way of life in the barrio raised him to develop a strong body structure and determined spirit. He was graduating high school when he passed the test to be one of their town’s sanitary inspector. However, his conversion to Christ through an evangelization team from CPU changed everything. His commitment to follow Christ was so intense that after his baptism on April 2, 1950 he decided to go to CPU in May and took up the Theology course. During his beginning months at Central Philippine University, Juan recalled being rough in ways, clumsy and his physique gave the CPU community the impression of a rural boy. He had the feeling that he is not fit to work in a city church. However, his unorthodox qualities proved to be an asset because it helped him survived and overcome the difficulties of college life. He was about to quit school after two to three months for lack of financial support. Determined to finish his schooling, he approached Dr. Joseph Howard, the dean of the seminary. He begged for any kind of work. Juan’s first job was to varnish the newly acquired chairs in Johnson Hall. Next he was assigned the janitorial jobs in the elementary building, which was then made of lumber. As a work student, he polished the floor, cleaned the toilets and mowed the lawn. In order to mow the lawn of Elementary School, he had to borrow the lawn mower of Rev. Ralph George, who lived in one of the mission houses. He did not mind being seen by the throng of students as he pushed the lawn mower. A town mate of his recalled that many times he heard Juan singing while scrubbing the floor. That town mate remembered sharing pandesal with Juan for some short respite. After two months in school, he was given a weekend assignment in Ito Baptist Church, Cabatuan as part of seminary training. The place was a Huk area. (Huk is the short term for HukBaLaHap which stands for Hukbo ng Bayan laban sa mga Hapon, a guerilla group which fought the Japanese army but its ultra nationalist stand after the Liberation made it an anti-government group similar to the NPA of today.) The Huk was so strong in Ito but he managed to establish the presence of Christian ministry in that area. Juan was assigned as weekend pastor but was not intimidated by rich people because he strongly believes that he is a minister of God. Juan shares, “I may be clumsy but it is the work of God and not mine. Why should I be ashamed?” Apprehensive of his safety, CPU decided to pull Juan out of the area. Shortly after, the Huk rebels overran Ito. He believes that to avoid any idea of misconduct you have to woe somebody outside of your parish. He was looking for a person who can help in the ministry, one who loves serving God and has a strong Christian character. He found these qualities with Nellie a dedicated person, honest and very independent. She got the qualities that would enhance the ministry. Nellie also studied Theology. Juan and Nellie’s calling into the ministry runs parallel. Both of them were faced with good opportunities when they decided to enter the seminary. Juan and Nellie got married on May 23, 1958 in a simple wedding at the Johnson Chapel. He was so poor that after the wedding, he could only afford ice cream for his guests. He intended to bring his wife to his boarding house after the wedding but a fellow pastor secretly gave him P10.00 to spend for a night in a downtown hotel. At that time, a night’s lodge was only six pesos. Juan and Nelly are blest with two son’s, Junell and Jorge. Know how Dr. Johnny Ancheta achieved success…next post!